U.K. left-winger returns with an understated album. 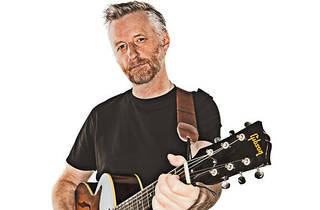 Tooth & Nail, the first Billy Bragg album in five years, was recorded in just under a week with producer Joe Henry and his cohort of excellent session aces. But while the men and method involved undoubtedly played a role in the way the understated album sounds, it’s Bragg’s humble bark that remains the focus as always. That modest tenor, authoritative yet unassuming, has been the British singer’s best friend from the start, aiding him at his most strident, soulful and sweet—the voice of the people and all that. He’s just one bloke trying to make sense of a screwed-up world the best he can. If Tooth & Nail is, by design, not the kind of record made to topple governments, the man on stage is a different matter. Bragg has been in the trenches and seen his share of setbacks as a mouthpiece of the left in a world that often leans right (even when it’s wrong), but never once has he lost faith in the power of songs as calls to action (minus the sanctimony) or chronicles of the heart (sans sappiness). 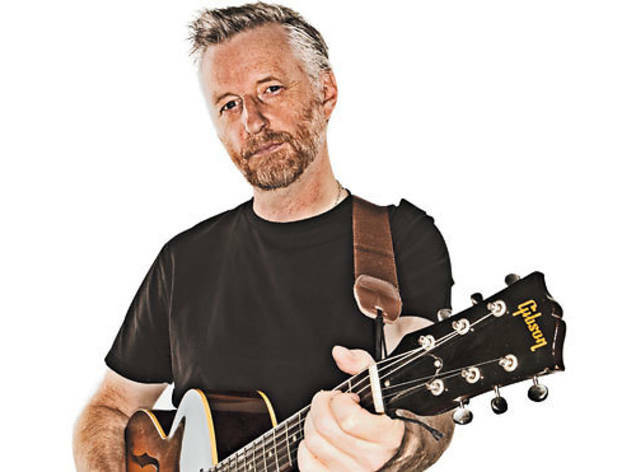 With a deft hand he’s kept his catalog of classics, not as time capsule reminders of what once was or could have been, but as vibrant, optimistic anthems tenaciously pointing the way forward through tears and shifting tides. If that all sounds a little purple, well, we challenge you to leave one of these City Winery gigs not similarly moved. “Anyone can do it” is the implicit message one gets from a man with only a beat-up guitar and modest musical gifts at his disposal. Then again, it’s his job to make it look easy.